The Business Entities of the Secretary of State of Idaho is the department in charge of registering and keeping records of business entities in the state. Any business entity, like Corporations, Limited Liability Companies, Limited Liability Partnerships, Limited Companies or Limited Partnerships, filed under the Idaho Secretary of State, will have their information recorded in the Business Entities database. The database can be accessed using the department's online search tool. View the step by step guidelines below to see how to use the Idaho Business search tool. 1. The first step is to access the Idaho Business Search page by clicking here. (see the screenshot below for reference). 2. Type in the Business Entity Name or any other information you have. You may leave the other fields empty, or you fill in more details to narrow down your search. For this example, type in the name "CityPass" in the "Business Entity Name" field. (see the screenshot below for reference). 3. Click on the "Search" button, and the Results Page will appear. 4. Click on "View Details" to open a page containing all the entity's details like Type of Business, Status, State of Origin, Date of Origination or Authorization and File Number. View the screenshot below to see what the business entity details page looks like for the business "CityPass". Anytime during your search, you can click on the "New Search" button if you want to search for a new entity or "Back to Summary" if you want to go back to your previous entity. One of the elected constitutional offices of Idaho, the Secretary of State of Idaho is among the highest-ranked government officials in the state. The Idaho Secretary of State belongs to the executive branch of the state. Its current office holder is Lawerence Denny. 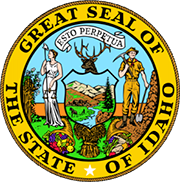 Apart from being the keeper of the Great Seal of Idaho, the Secretary of State performs electoral, economic, administrative and governmental duties.